Well, Venom certainly has been the talk of the town in recent weeks, hasn’t he? 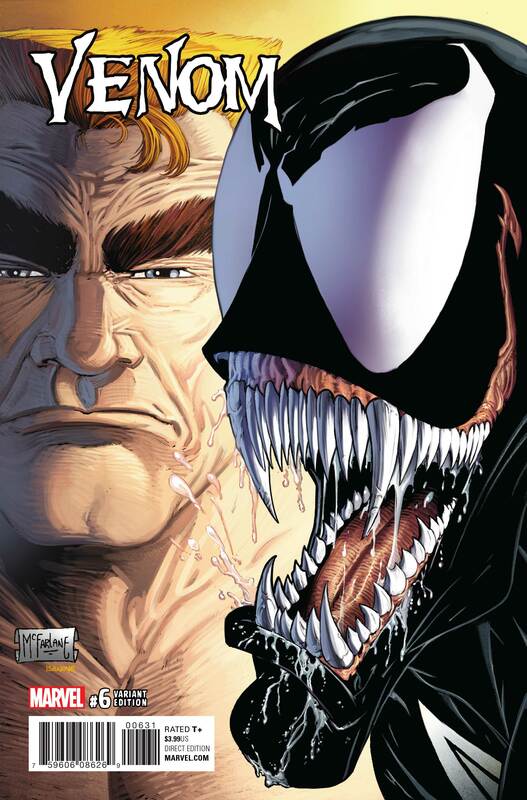 Aside from a movie starring the cult favorite anti-hero being closer to becoming a reality than ever before, True Believers can sleep easier knowing that Eddie Brock will make his triumphant return to the comic books in a matter of weeks. 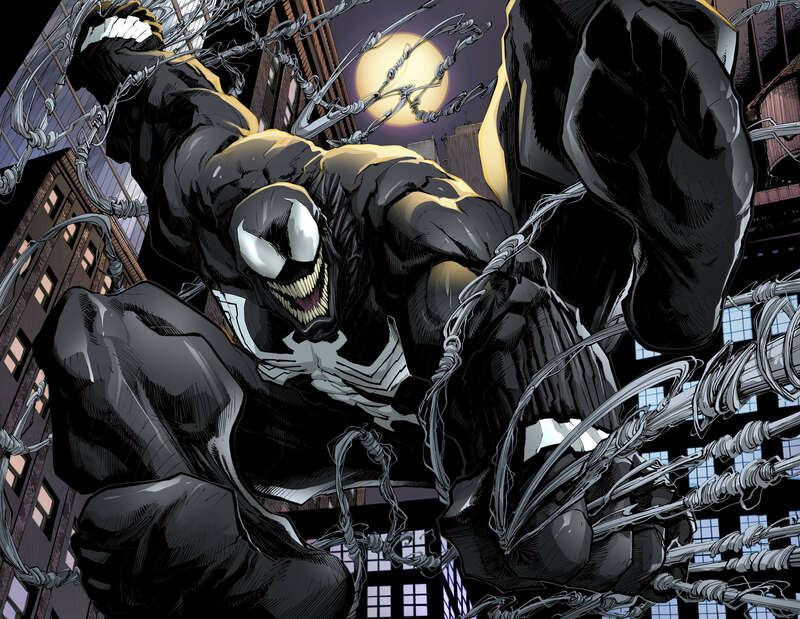 It’s well known that several others have bonded with the symbiote in recent years and each probably accrued a generous fan base, but it stands to reason that the majority will always yearn for the first to take up a specific mantle to come back at some point. And that’s what makes the next few months of Venom comics so special. While we bide our time waiting for the big moment, Marvel has put out a small preview for the can’t miss issue. Although the interiors are unlettered, it quickly becomes apparent that writer Mike Costa and artist Gerardo Sandoval will deliver an experience that’s every bit as fun as it is visceral, with a Venom that’s at almost Ed McGuinness-like proportions. Reunited and it feels so good! That’s right, True Believer, Eddie Brock has reunited with the symbiote at long last! Today, Marvel is pleased to present your first look inside VENOM #6 – the next senses shattering issue from creators Mike Costa and Gerardo Sandoval! 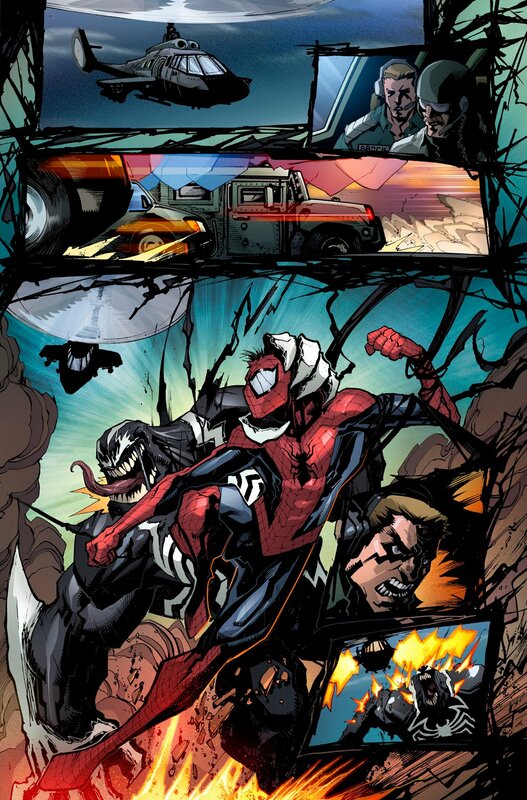 It’s a battle for the ages as new Venom host Lee Price throws down with your friendly neighborhood Spider-Man! But amid the chaos and the fury of battle, a familiar face returns! 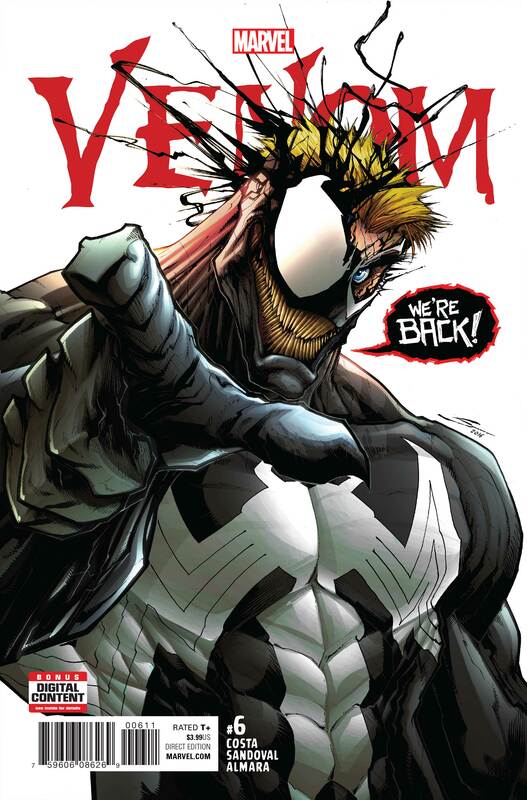 That’s right, Eddie Brock is back to reclaim his rightful place as the one-and-only Venom! 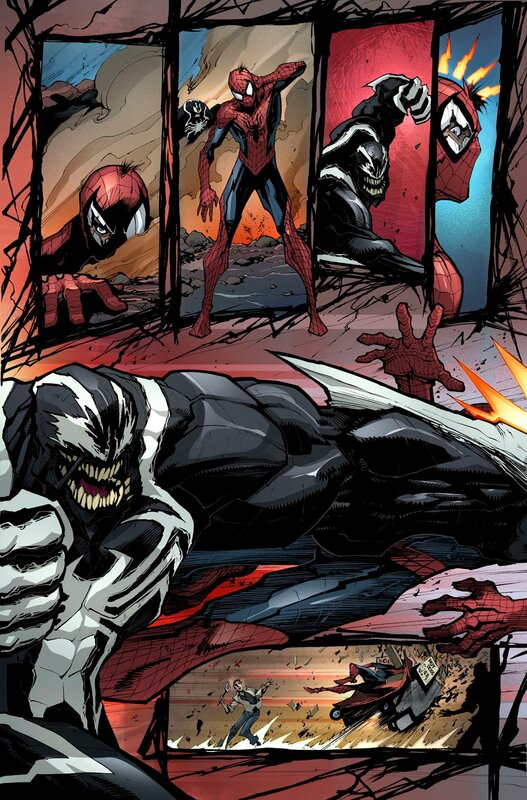 Can symbiote and host coexist as they once did? With Eddie Brock back on the board, what will become of Lee Price? And seeds sown here bear bitter fruit in May’s oversized Venom #150. The fireworks begin on April 19th in the can’t-miss VENOM #6!